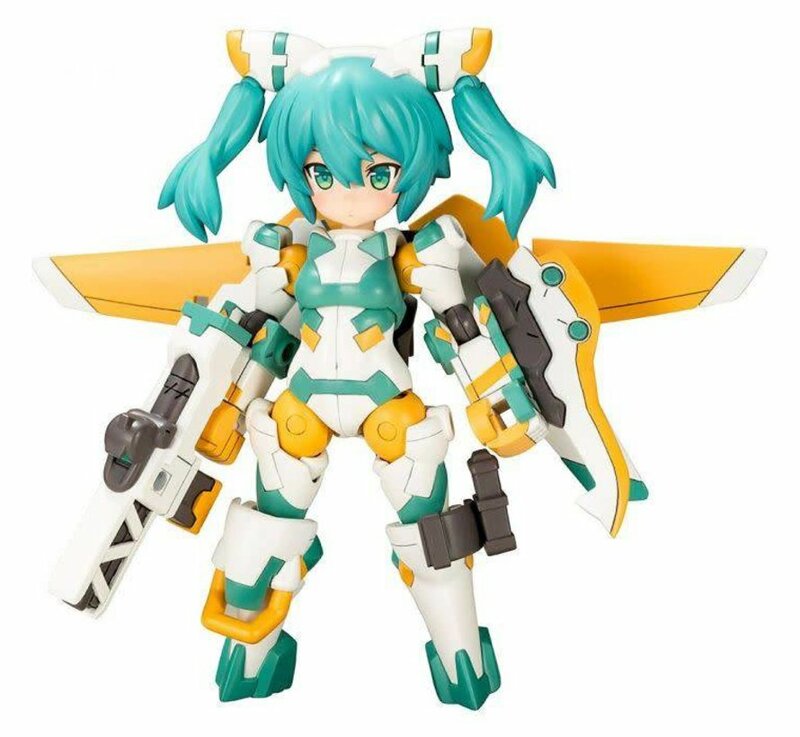 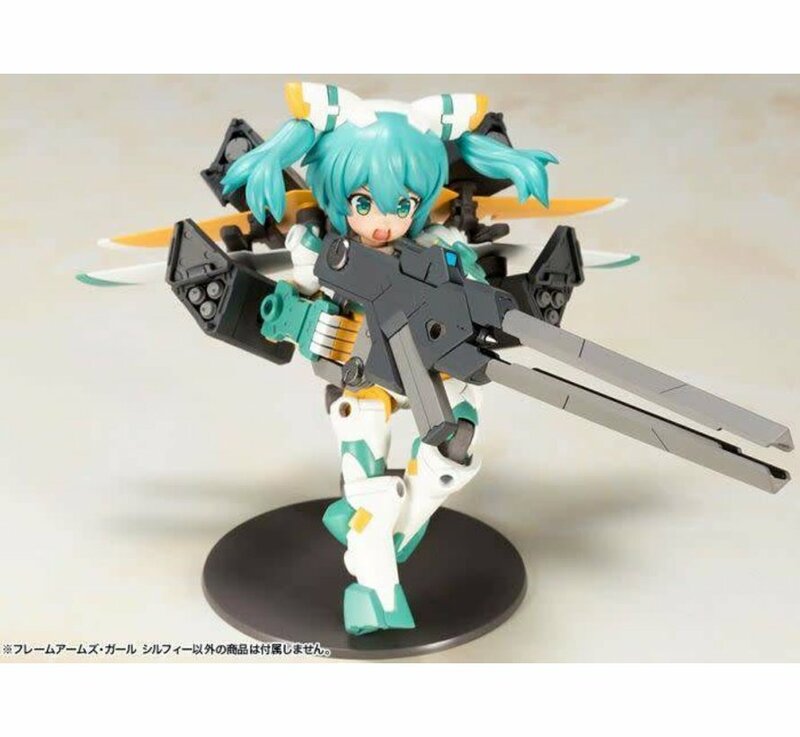 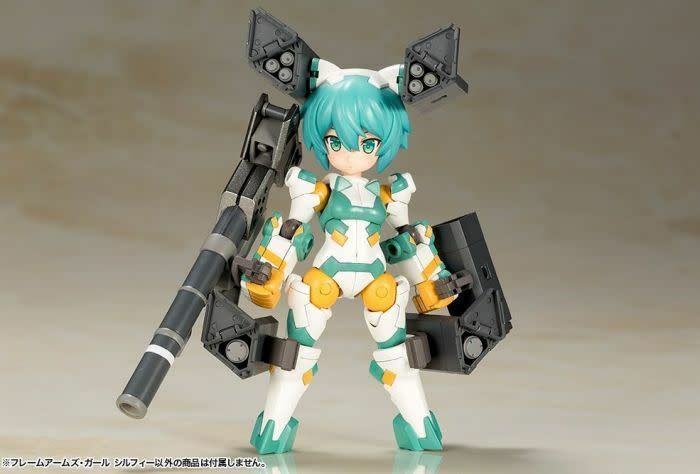 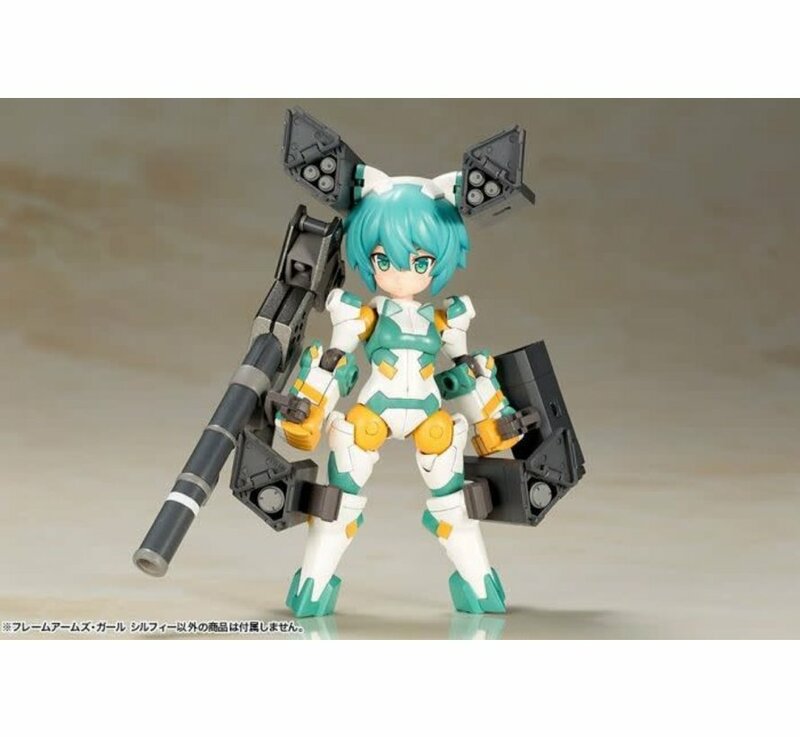 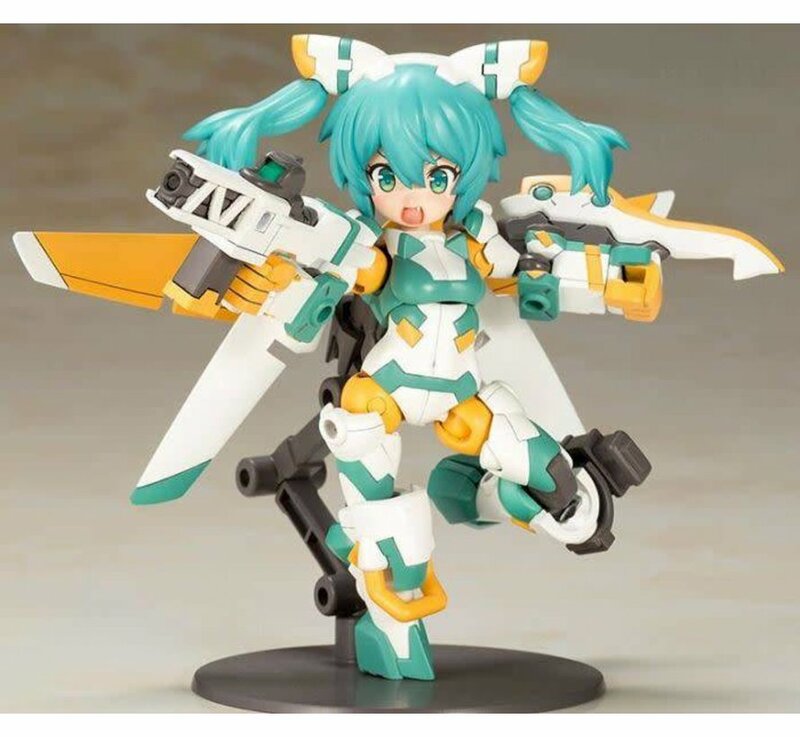 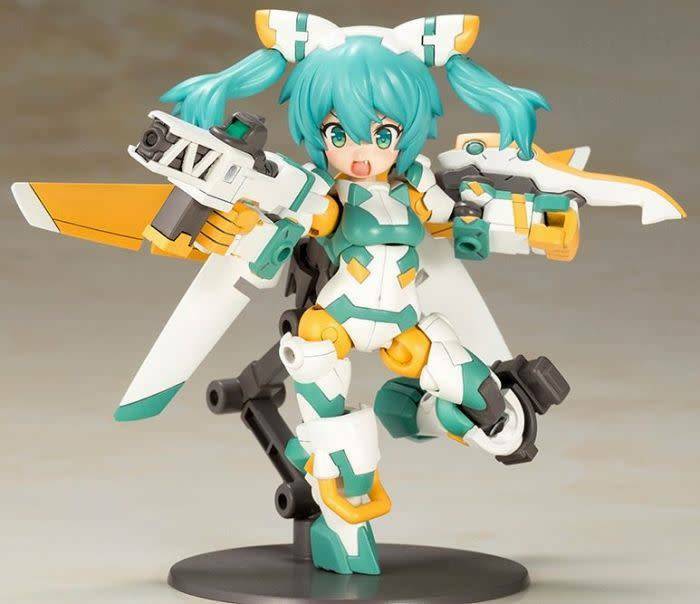 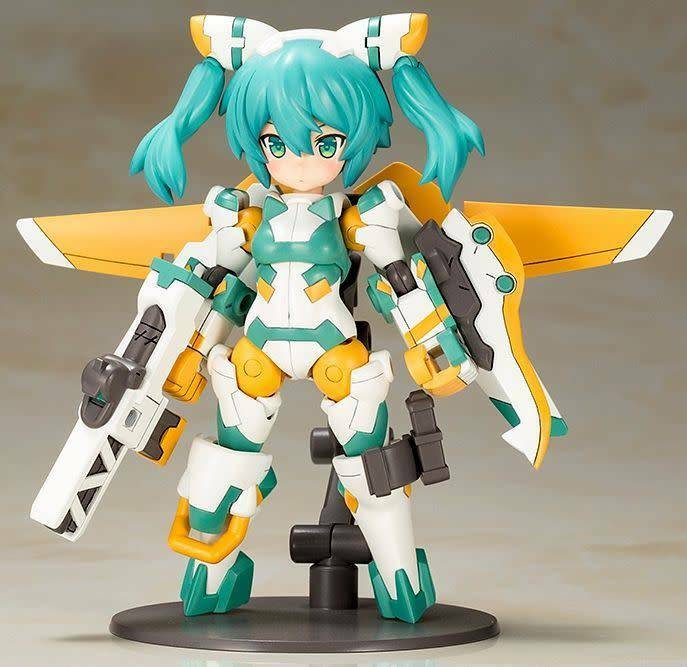 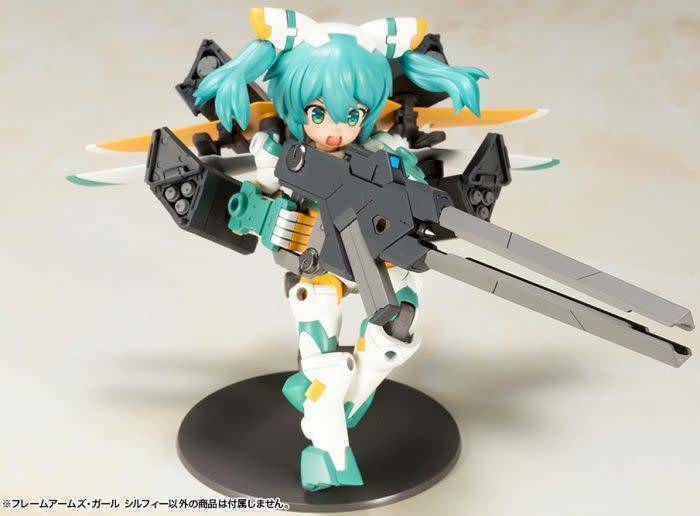 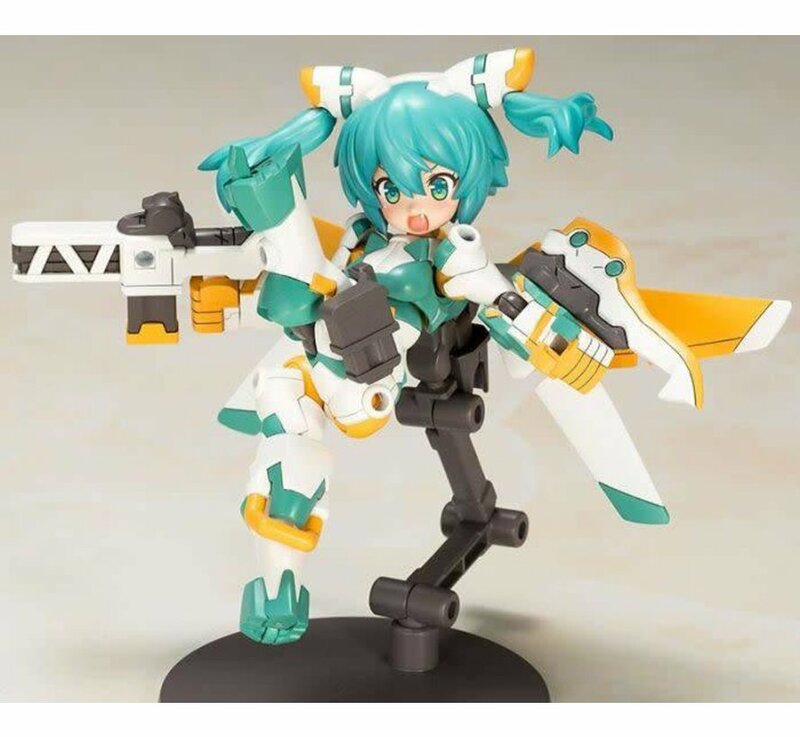 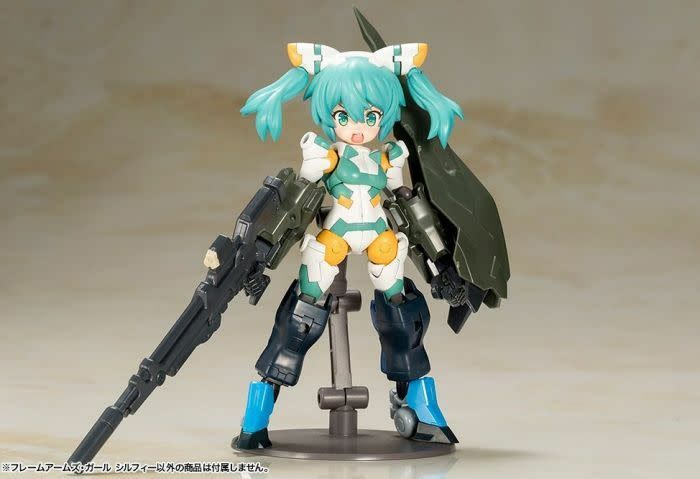 The latest model in Kotobukiya’s original Frame Arms Girl model kit line is a collaboration with Megahouse’s Desktop Army, Frame Arms Girl Sylphy! 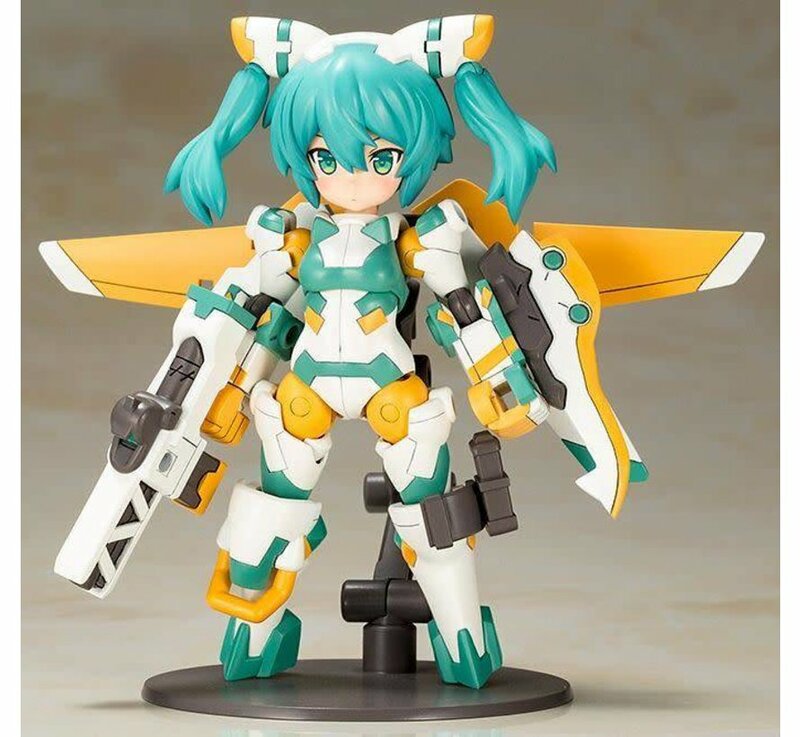 BLADE’s uniquely proportioned character design is expertly rendered into the Frame Arms Girl format. 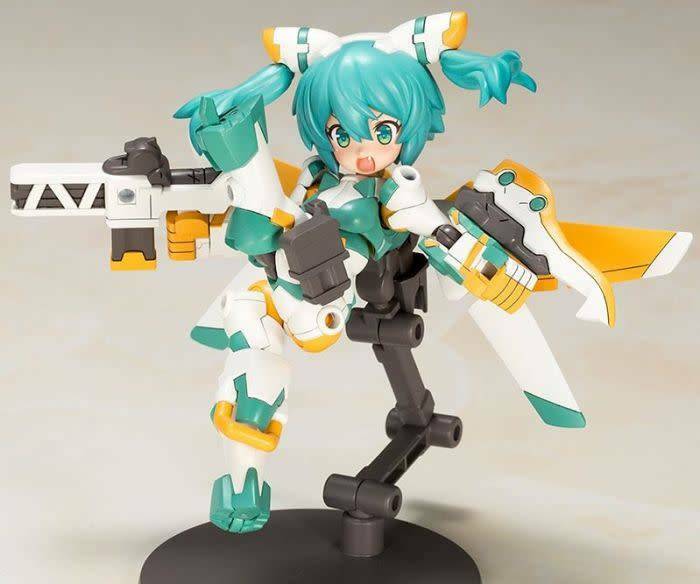 Despite being the smallest Frame Arms Girl to date, Sylphy has several points of articulation giving the model a wide range of movement. 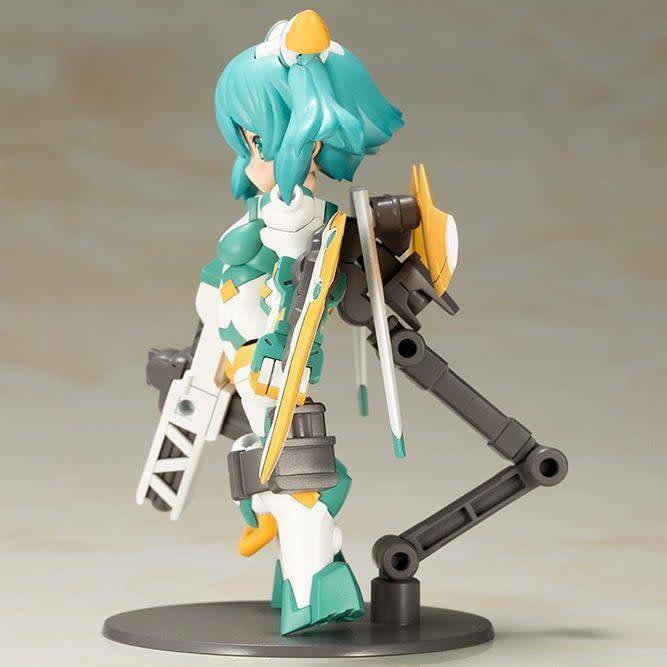 The thigh joints can be moved up and down, giving the model a wide range of movement. 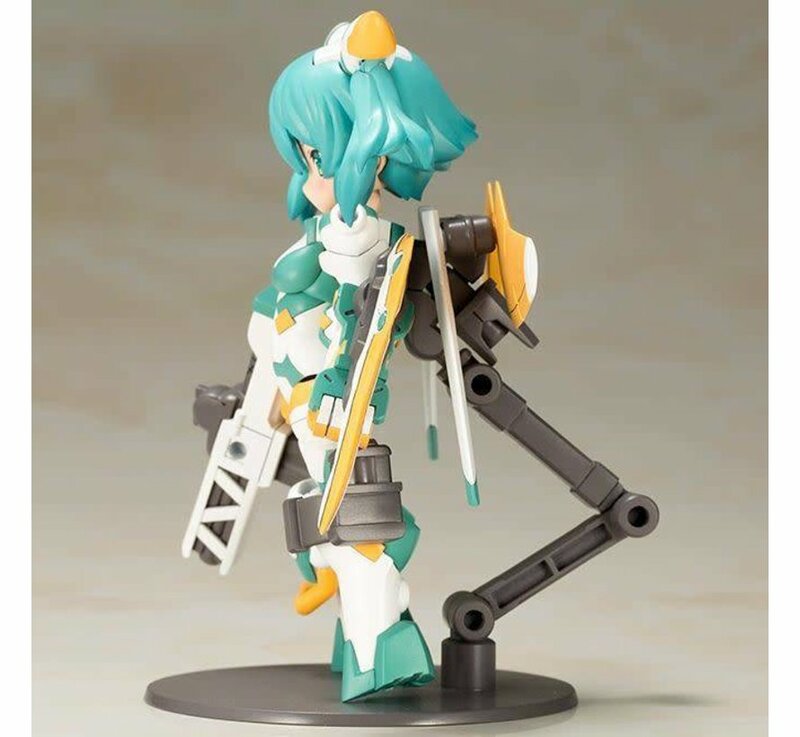 The anchors on the back of the model’s feet are expandable to give the model extra stability when standing. 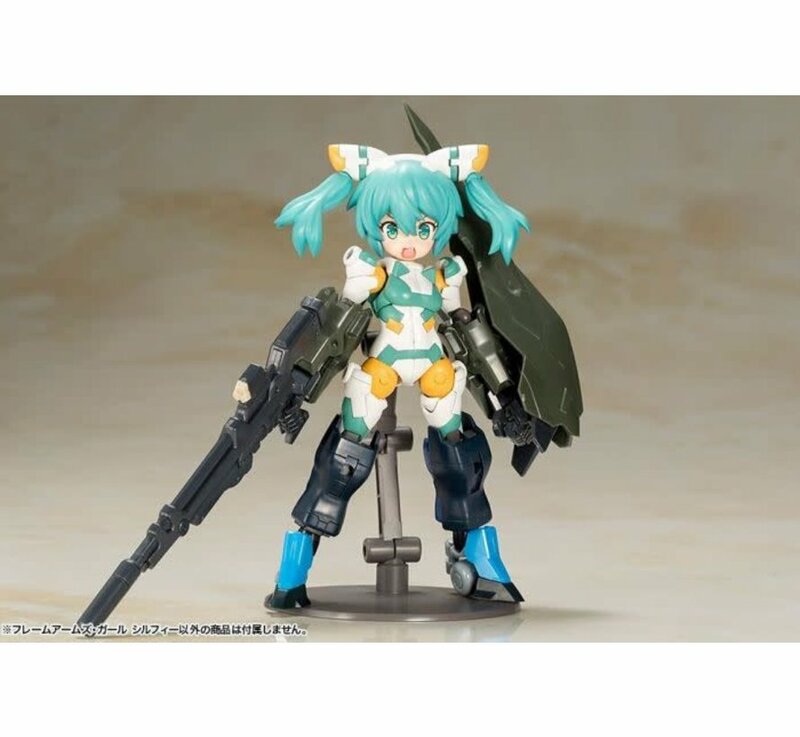 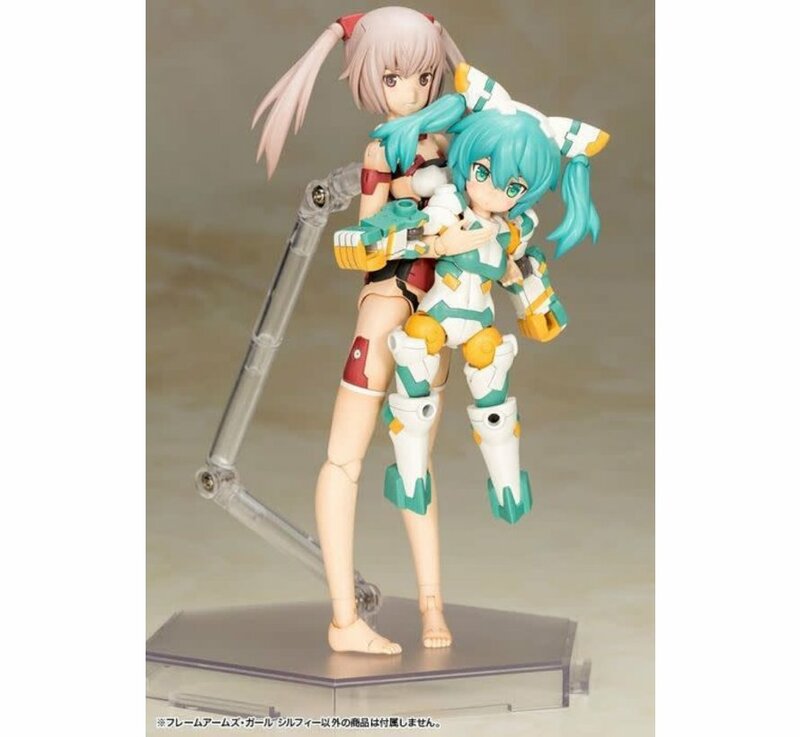 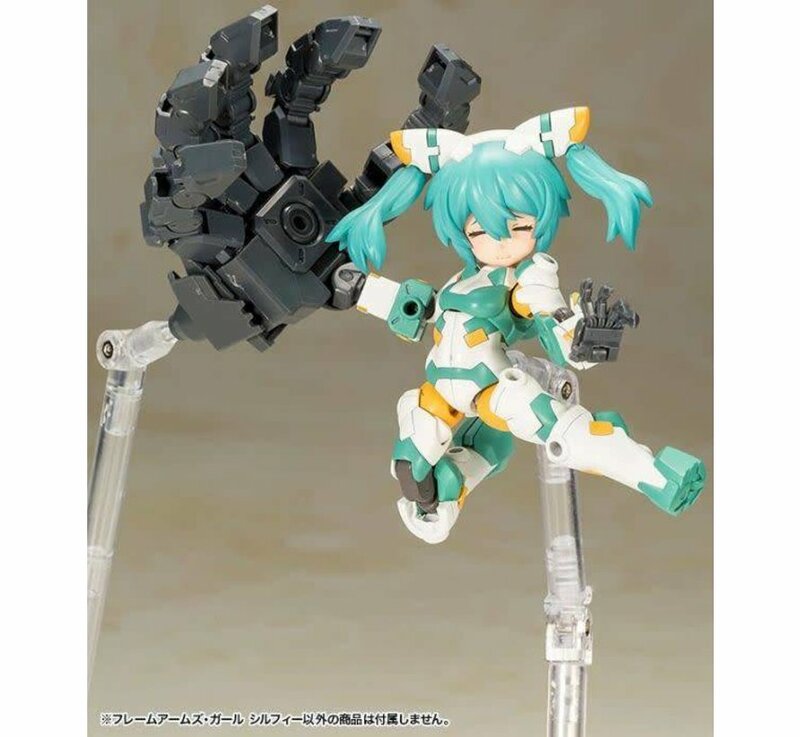 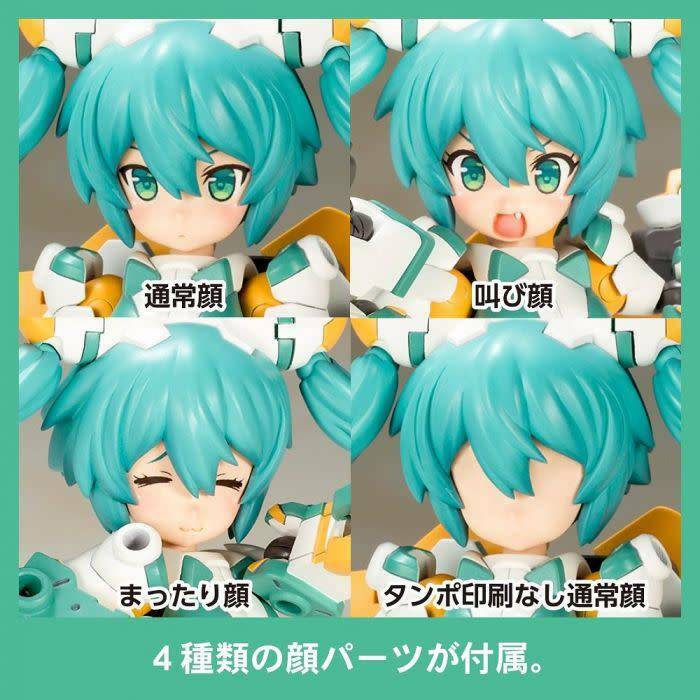 The kit includes three interchangeable tampo‐printed face parts (default, shouting, and relaxed) and one blank face part that are also compatible with other Frame Arms Girls. 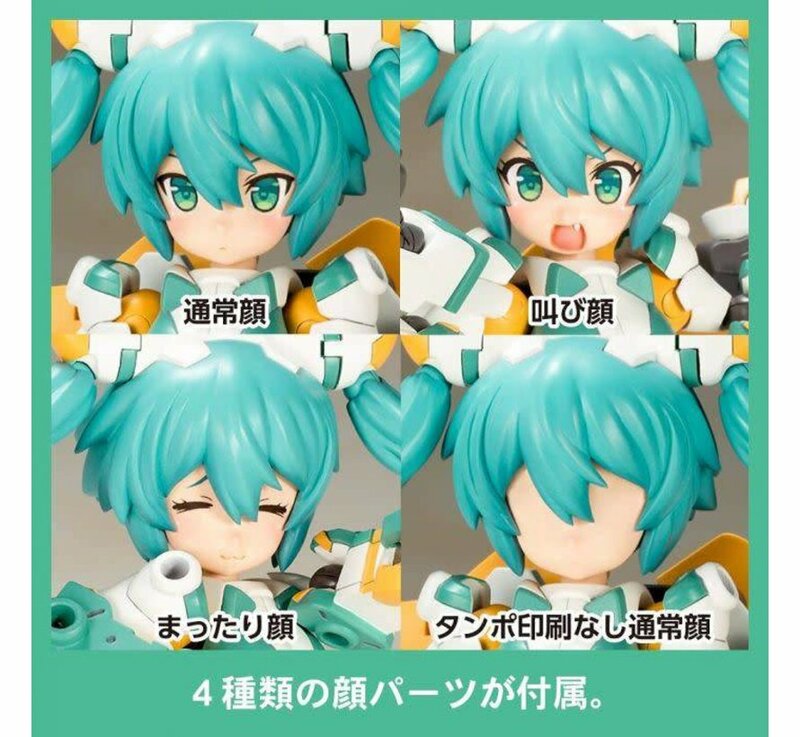 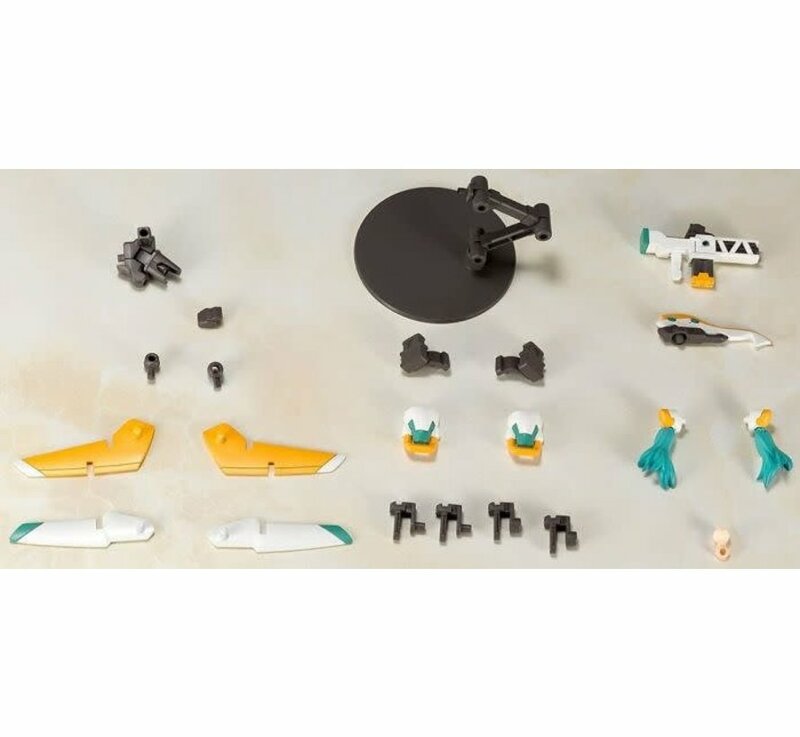 The face parts are pre‐painted for easy assembly with no paint required. 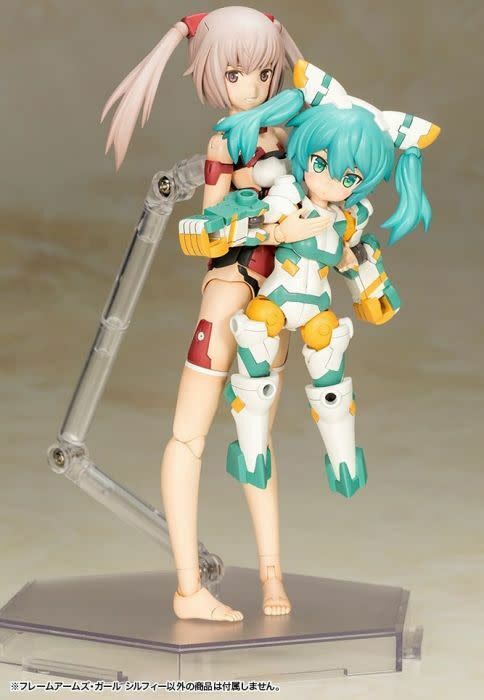 The model’s neck joint is also compatible with head parts from Kotobukiya’s Megami Device line. 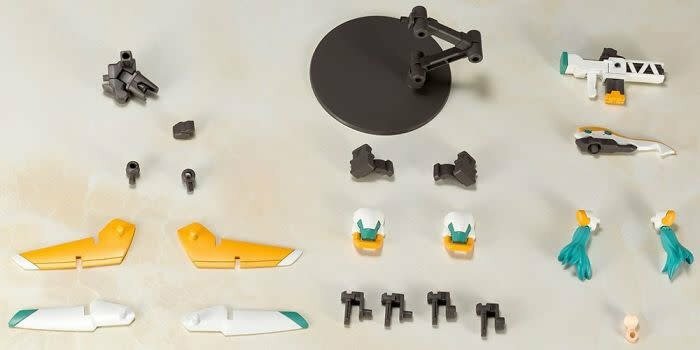 The kit comes with a specially designed Desktop Army base. The kit includes extra decals for the eyes. 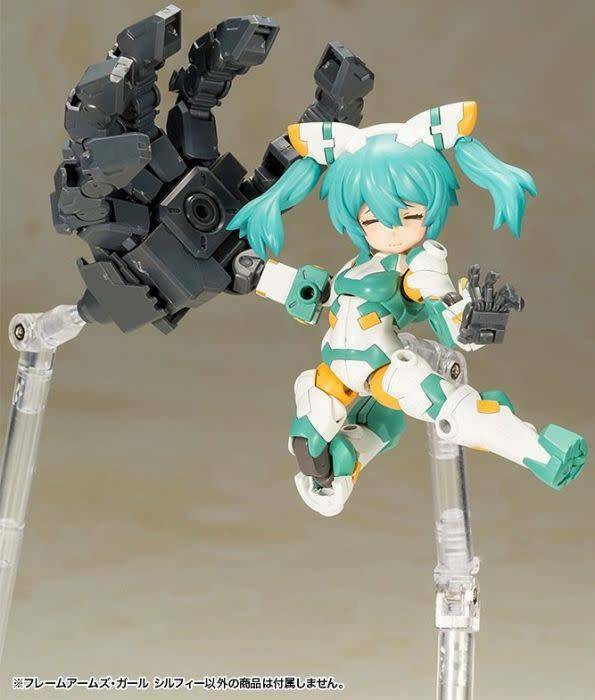 The shoulders, arms and legs are equipped with 3mm joints making it compatible with parts from the Desktop Army series as well as Kotobukiya’s M.S.G and Frame Arms series.